Park home owners have several bodies that look out for their interest, and the National Association of Park Home Residents (NAPHR) is one of such organisations. It was established to ensure that park home owners get good value for their property investment. What is the role of NAPHR? National Association of Park Residents (NAPHR) is a voluntary organisation which represents the interest of park home owners to the Government and other official agencies, as well as providing them with the right counsel. NAPHR works closely with the local Government and the Department of Communities to ensure it adequately defends the views of its members, and to ensure the Government is aware of any relevant legislation. In 2015, The National Association of Park Home Residents was part of the group set up by the Government to discover evidence relating to the existence of weak practices, and to enhance the standards while addressing the source of any identified abuse. The group consisted of NAPHR, industry trade organizations, with other national resident groups, and they offered several recommendations to the Government. The NAPHR has dedicated committee members who receive strategies and support to enhance their performance. Wendy Threlfall is the Chairperson of National Association of Park Home Resident, while Brian Doick MBE is the President of the association with Geoff Threlfall serving as the Vice Chairman. The committee members of NAPHR are responsible for coordinating the state of affairs for park home residents. Committee members of NAPHR regularly spend a lot of time to understand the legislation and the consequences attached to it because they serve as advisors to other members. They sacrifice their time to guide members according to the tenets of the legislation. NAPHR has representatives who are always present at consultation meetings, and members request for help with problems they experience in their park. Some of the common issues relates to harassment, utility charges, sales of park homes, pitch boundaries, pitch fees, maintenance issues, site rules, and residents’ associations. The National Association Park of Home Resident seeks for more members to take on the role of an advisor. The presence of more advisors reduces the pressure on the committee members and makes them more efficient in the discharge of their services. The advisors do not get involved in disputes between neighbours but can give directions to other sources of advice where members may go to resolve a problem. 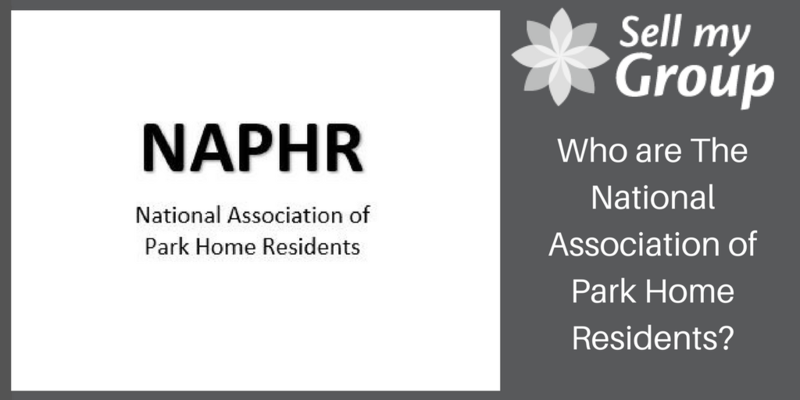 The NAPHR committee strives to ensure that members have a peaceful and enjoyable life in their park home residence. It’s a challenging but important task to find the right insurer to protect your park home. However, the The National Association of Park Home Residents committee has worked with Lifesure; a brokering firm that specializes in park home insurance particularly with the launch of their new product specifically designed for owners of park homes. So residents can leverage on the quality services of Lifesure to get the appropriate insurance for their property. The most significant function of committee members in the National Association of Park Home Resident is to protect the interest of the other members/residents and also to give them advice.